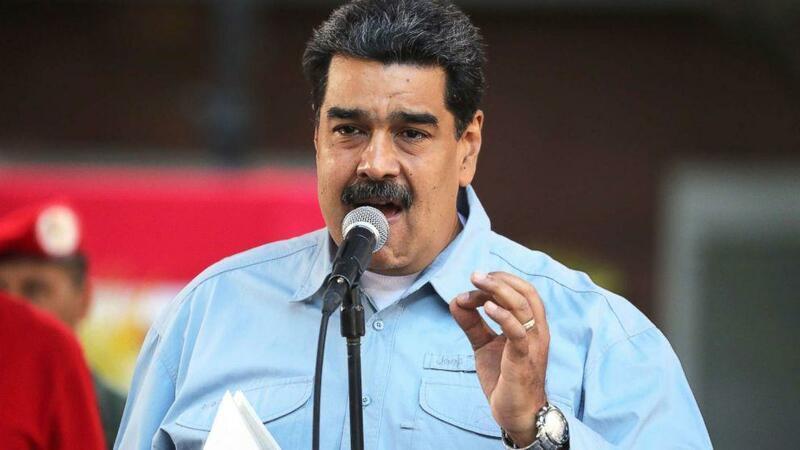 CARACAS, Feb. 8 (Xinhua) -- Venezuelan President Nicolas Maduro on Friday rejected a document issued a day earlier in Montevideo, Uruguay, by the International Contact Group on Venezuela. The document, signed by a majority of the group, with the exception of Mexico and Bolivia, is biased in its recommendations on how to overcome Venezuela's political crisis, Maduro said. "I totally disagree with its partiality," said Maduro. At the same time, Maduro invited the group's envoy to Venezuela for talks. The group, which gathers the European Union (EU) and 13 Latin American and European countries, issued a declaration following its first meeting on Thursday, in which it backed a new round of presidential elections in Venezuela as the right-wing opposition has been demanding. The EU signed the document, along with Spain, Italy, Portugal, Sweden, Germany, France, the Netherlands, Britain, Uruguay, Costa Rica and Ecuador. Bolivia and Mexico abstained. EU foreign policy towards Venezuela "is doomed to failure if it continues to ... heed only the Venezuelan extreme right," said Maduro, calling on the bloc to dialogue with the government. He also voiced his willingness to take part in the Montevideo Mechanism "to sign agreements for peace in Venezuela." The Montevideo Mechanism is a four-step plan proposed by Uruguay and Mexico to promote dialogue between the government and opposition groups to negotiate a solution to the political crisis. Maduro held a press conference for foreign correspondents earlier in the day to present what he called the "truth" about the situation in Venezuela. The power struggle between Venezuela's ruling party and Washington-backed conservative groups deepened last month after the head of the National Assembly, opposition leader Juan Guaido, proclaimed himself interim president. The White House immediately recognized Guaido, and the EU soon followed.